Based on your interests, you may have an unusual wealth of knowledge when it comes to a particular topic. In regards to the automotive (and even travel) industry, everyone learns about the invent of the wheel. If you’re a relatively big car fan, you may also know the history of your favorite brand or car type. One background lesson that people don’t tend to know a lot about is the history of oil. Sure, you would assume it’s not a particularly interesting topic, but the history of oil dates back thousands of years, and there were plenty of trials and tribulations as engineers looked to perfect the product. Oil has been around for more ten thousand years, as our earliest ancestors discovered various ways to lubricate their newest creation… the wheel. It was found that adding oil to the wheel made it much easier to push around, and people experimented with a variety of different concoctions as they sought perfect. They started with oils from animals, particularly roast deer fat and boiled pig, and they soon moved on to vegetable oils. That was until the realization that black gold deposits could be turned into crude oil, which revolutionized the production of moving vehicles. Early cars utilized the slippery crude oil to help protect the various metal parts of a car, but that was basically the only similarity between these early vehicles. Manufacturers used their own fuel and lubrication techniques, leading to inconsistencies and failures. As automobiles became more and more common In the early 1930s, these car makers realized the need for standardization among their vehicles and oils. The Society of Automobile Engineers in the USA soon began this process with a focus on engine oil, deciding to classify oils by their viscosity, or the speed at which the liquid pours. They tested various oils at 100°C (chosen because that was the temperature that oil often reached in a highly-stressed, big end bearing), and SAE 30 was ultimately recognized as the standard engine oil. Oil and petrol soon became one of the most in-demand consumables in the world. Manufacturers did additional testing during World War II. As they recognized, admired and envied the power of airplane engines, the car makers were constantly seeking ways to increase car engine speeds and bearing load. This meant that the new vehicles would need higher weight oils, but even the SAE 50 turned into a hot, thick sludge when the engine began to get out. This led the way for the introduction of the ‘w’ rating test that is common today. This was used to determine the difference between pure oils and the modified fuels, and the strategy was quickly adopted as the international method for identifying different types of oils. – The viscosity modifiers were discovered to disappear in high load conditions, reverting the oil back to it’s original grade. – Fossil oils lost quality as they aged, and they were found to not mix well with fuel residues. This resulted in lower lubrication and protection qualities. – Due to the issues above, oils needed to be changed constantly. Once again, these car makers continued to eye the war effort. The first use of synthetic oil in automobiles was during the second World War. Mobil Process, a company that originated from the brand we know today, created Poly Alfa Olefins, or a group of plastics. These were used in tanks placed in the Africa desert, and the synthetic oil prevented the frying of engine oil and the subsequent seizing engines. The synthetic oil was initially only allowed in turbines or prime-mover, low-speed diesels, but car companies soon realized how strong the liquid was. Of course, the infatuation with synthetic oil didn’t last particularly long, but it had little to do with the quality. Instead, synthetic oil’s temporary demise came at the hands of imposters. A particular non-mineral oil proved to be an excellent source for preventing wear on a car’s engine, but it also deteriorated the quality of the rubber oil seal. Another synthetic oil was produced with extremely low EP protection. While both oils proved to be better than their mineral counterparts, these bootlegs were quickly criticized. Older engines suffered due to the oils’ inability to adapt to low temperatures, and the abuse put on the rubber oil seal resulted in many oil leaks. For those who focused on producing a high-quality, usable synthetic oil, this was a slap in the face. 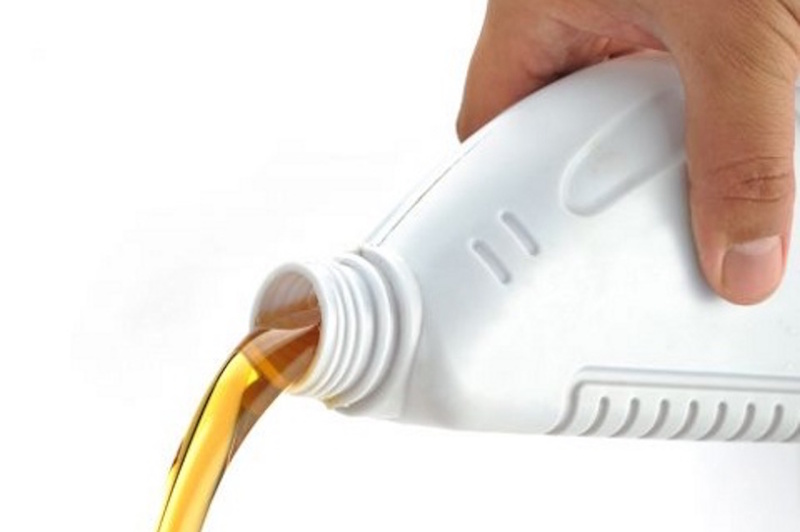 The various rip-off oils failed to contain many of the properties that make synthetic oil so successful, and many of the additive oils (regardless of quality) suffered as a result. You never thought there was such a vast history for motor oil, right? Many people take these lubricants for granted, not taking into account the years of research that led to a successful and productive product. The next time you’re at DePaula Dealership, maybe you can impress your mechanic with your vast knowledge. While they know practically everything at the dealership, I’m sure you can slip them an unknown fun fact!